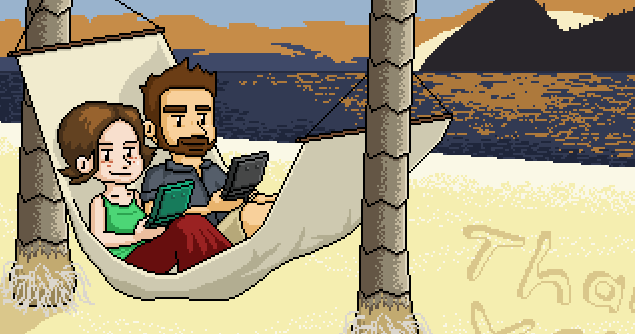 Two days after the wedding, Kellbot and I set out to Saint Lucia for our honeymoon. With fantastic beaches and picturesque backdrops, it was an ideal place to wind down after months of preparation and several weeks of non-stop activity. 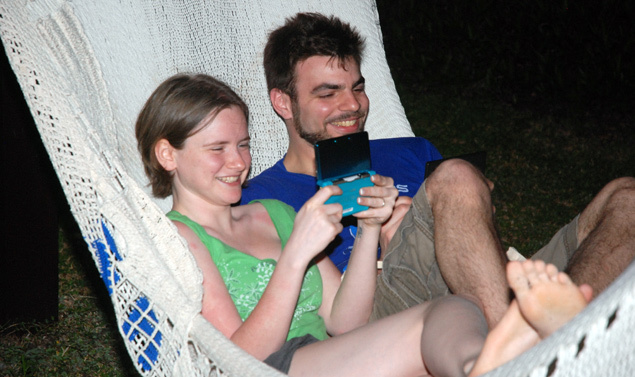 We relished being able to lie in a hammock on the beach and play games without a care in the world -- this was our first real vacation in years, and it was long overdue. 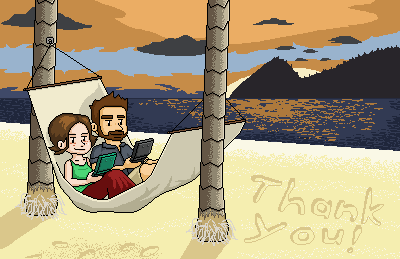 I used photos from the honeymoon as a basis for our “Thank You” cards. This was the last piece of wedding-related design work I’d have to do, so I wanted to make it good.